The continued momentum at LTI is due to the two large deals worth over $50 million in Q4. Besides this, LTI also has a clutch of deals under its belt in automation, multiple digital initiatives, analytics engagement, migration to the cloud, orchestrating data, and modeling a variety of analytic use cases. One of the most notable deals bagged by LTI was the $100 million contract to deploy advanced technology in India’s taxation system. Jalona said that the multi-year deal involves high volume digital dealing and creating a semantic web. He added that LTI would operate on a “build, own, operate, transfer” (BOOT) model. 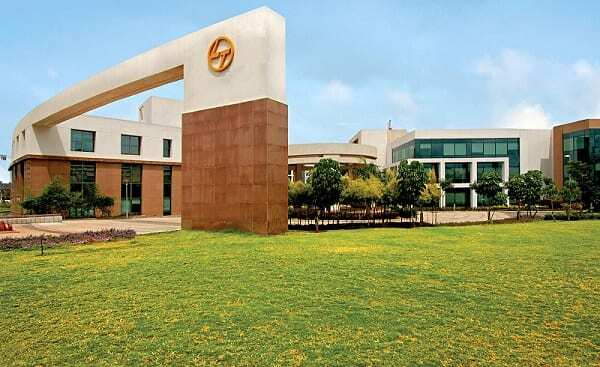 Dinanath Dubhashi, MD and CEO at L&T Finance Holdings Ltd, told a newspaper that the significant improvement in profit was also realised through the ‘retailization’ of the portfolio. The growth in revenue was attributed to strengthening competencies across products, using data analytics as a differentiator. Deep Talent Bench: The second half of 2017 saw the global consulting major host a massive recruitment drive. L&T beefed up the talent bench in areas like big data, ETL (Informatica and Ab Infinito), data warehousing, database, and customer-centric roles. 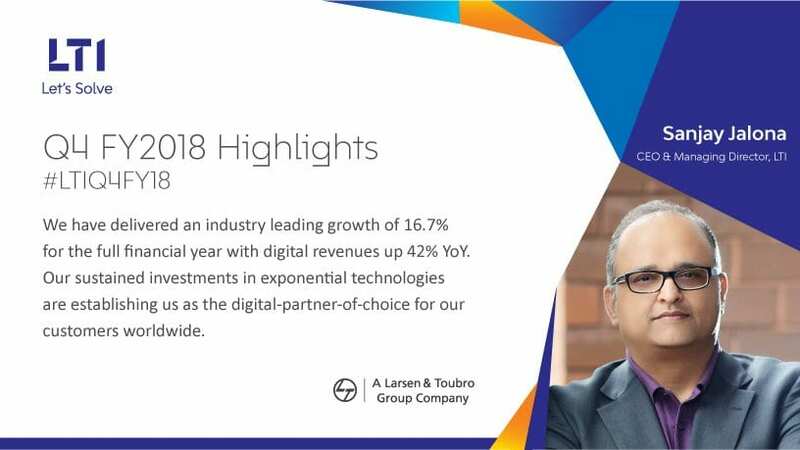 Leading Analytics Vendor: L&T’s outstanding growth is also attributed to its position as major a vendor for big data and analytics capabilities. They were also recognised for blockchain consulting and POC developments. Thanks to their global best practices, deep industry expertise and faster turnaround cycles, the IT consulting bellwether won several key Indian government projects. 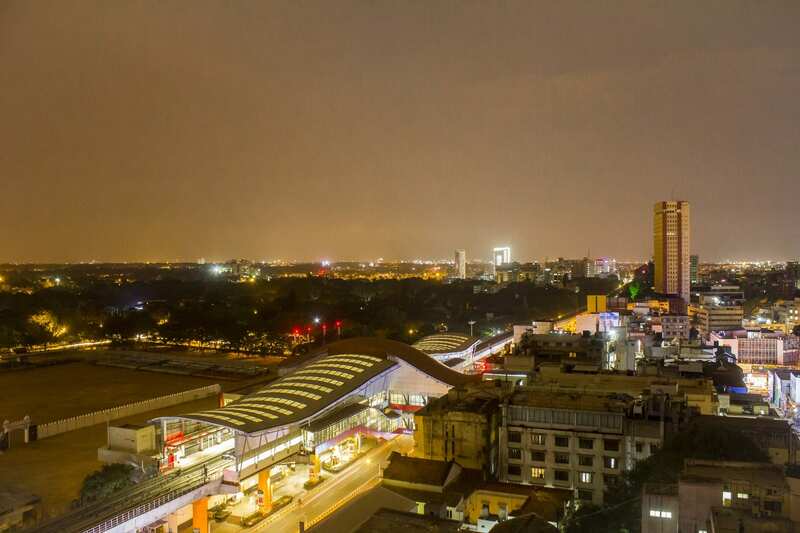 Key Government Projects: In January 2018, LTI won another government project — an end-to-end Power Portfolio Management Solution for Madhya Pradesh Power Management Company Limited (MPPMCL). The project required integrating automated business modules and robust analytical capabilities for faster and accurate decision-making on the sale and purchase of power. LTI’s Power Portfolio Management Solution would optimise functions like HR, finance, procurement, demand forecasting and tender creation. Building Thought Leadership In Robotics: L&T has also built considerable thought leadership in robotics, and according to the company website, it is already getting traction. With the overall robotics market reaching $67 billion, L&T is betting big. As stated on their blog, LTI collaborated with Purdue Robotics Accelerator and US-based Purdue University to gain insights. 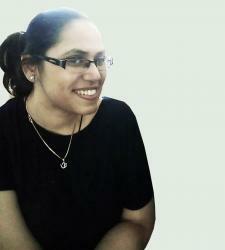 This played a key role in setting up the robotics lab at their Bengaluru campus. As enterprises move towards intelligent automation, onboarding of cognitive solutions, and AI, leading providers will have to build capabilities across these units. Analytics, automation and AI will be key to digital transformation, and soon, service providers will start to build the value chain across these platforms. The service provider landscape will undergo rapid transformation with vendors investing in broader capabilities to stay competitive.